The new racing simulator is to be out in a couple of weeks. So, its developers have decided to please the players with the free additional content, which will appear on Xbox 360 and Xbox One on the project’s launch day. Moreover, the free Forza Horizon 2 DLC will also contain three vehicles, which have never appeared in this game series before: Ford Focus RS (2003), Land Rover Defender 90 (1997) and Clio Williams (1993). In addition to this pack, the developers have revealed the details of the Forza Horizon 2 VIP Membership and special The Car Pass. They will let the gamers receive some preferences first. So, the Forza Horizon 2 VIP Membership for $19.99 will provide access to the exclusive content. The players will get the pack of the VIP sports cars, including Tesla Model S (2014), Donkervoort D8 GTO (2013), Lamborghini Urus (2012) and Mercury Coupe (1949); a pass to the various closed in-game competitions, the gifts from Forza team, an ability to earn the rewards 2x faster and a “special recognition”. The Car Pass, which can be bought for $24.99, gives access to the monthly car packs of five models each during a half year, starting from October. Also, its owners will get an exclusive vehicle - Noble M600 (2010). 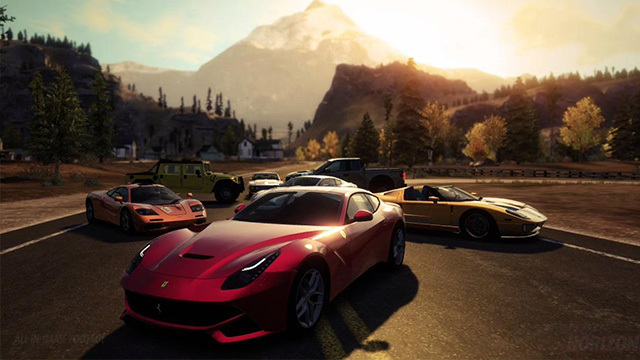 Did you like the cars from the Forza Horizon 2 DLC? Will you purchase the VIP Membership or the Car Pass? You can leave your answers in the comments below the news.